Myth #1: Drink at least 8 ounces of water every day. Don’t count your glasses. Most of us already take in plenty of water. A good way to determine if you’re hydrated is that your urine should be a medium-yellow color and you should be going every hour or two. If you live in hot, humid climates or are an athlete, you may need more water than others. 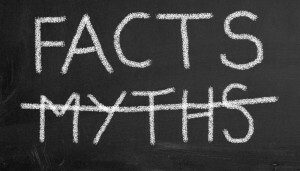 Myth #2: Eggs cause high cholesterol and increased risk of heart disease. Eggs don’t increase the risk of heart disease in healthy people. In fact, they have omega 3’s, which can actually reduce heart disease. The yolks do have cholesterol, but the amount isn’t harmful for the majority of people. However, if you have underlying heart disease and high cholesterol, then you should avoid eggs. Myth #3: Deodorant can cause breast cancer. Some people think the chemicals ingested under the armpits can make tumors more likely in the breasts; however, the National Cancer Institute states there is no evidence to back this claim. Myth #4: Being cold makes you sick. Actually, men who spend many hours in sub-zero temperatures have stronger immune systems than those who don’t. You’re more likely to get sick indoors, where germs cultivate and spread. Myth #5: You need to take multivitamins every day. If you eat a well-balanced meal, you don’t need to supplement with a multivitamin; however, if you don’t get all the essentials in your diet, then a quality multivitamin is needed. Pregnant women should always take a good prenatal vitamin with folic acid to avoid fetal birth defects. Myth #6: You can’t lose weight unless you eat breakfast. Breakfast is important because it gives you energy and staves off hunger, but it’s not primarily responsible for weight loss. You can still lose weight if you’re not a morning eater. Myth #7: Green mucus equals infection. Interestingly, green and yellow mucus are not sure signs of bacteria and a call for antibiotics. Only a lab test can confirm that. You may just have a common cold. Myth #8: Giving kids sugar makes them hyper. While it’s not healthy, no research suggests that sugar is the cause of hyperactivity or difficulty in school. Myth #9: You can get sick from a toilet seat. You’re more likely to get sick from the bathroom door and sink handles than the toilet seat. Those are actually usually pretty clean. It’s the handles and floors that are covered in germs. 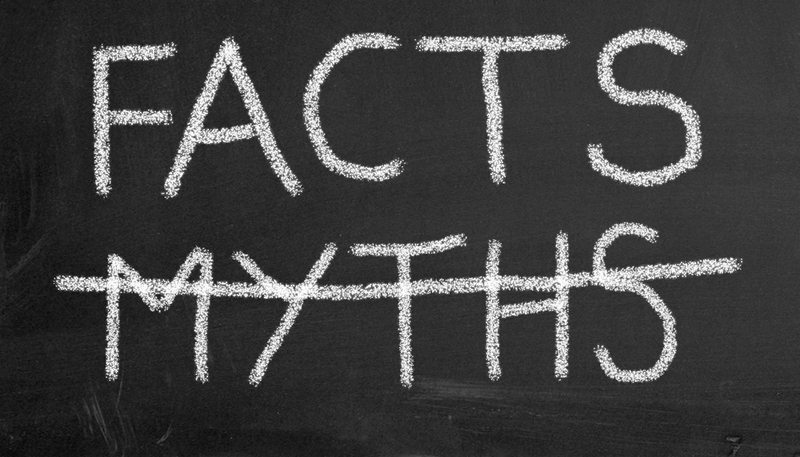 Myth #10: You can get arthritis by cracking your knuckles. The cracking comes from gas bubbles that pop in between the bones. There is no evidence to suggest this causes arthritis; however, if you have pain when you do it, you should seek medical attention.